In an exclusive interview with CraveOnline, Finnish director Renny Harlin discussed his new movie 5 Days of War, a movie based on war journalists covering the Russo-Georgian War in 2008. Harlin also talked about his other films including his ideas for a very different Alien 3. The film he worked on for a year before David Fincher took over the project. Hit the jump to check it out. CraveOnline: And you left because it wasn’t what you wanted. What did you want from Alien 3. I’ve always been curious about this. Renny Harlin: "Okay, that’s a good question. And I think you can imagine how, as a young filmmaker, I’m only 28 years old, I had made Nightmare on Elm Street 4, which got a very good critical reception and a huge box office reception, and all of a sudden I’m being offered movies by Spielberg and everybody in town. And I’m a huge fan of course of Ridley Scott and James Cameron, and then I’m offered Alien 3. And I think, this is a fantastic opportunity. I get my office on the Fox lot in Hollywood, and there I am, and I literally have to pinch myself when I’m sitting in my office. I’m on a studio lot, I’m 28 and I’m making this giant movie. I can’t believe. And at the same time I’m really scared, because I feel that if I make a movie that is just a copy of the previous ones and just adds a little firepower or something, I’m going to be a laughing stock. I’m just going to be compared to the previous directors and they’re going to say that I’m an idiot. So I feel huge pressure [to do] something smart. And so I work on it for a few months, and I develop first one idea which was that this movie was going to take place on the planet where the aliens are actually from. So basically my pitch to the studio was, let’s look at aliens like ants. They are ants, and somewhere is the anthill. And now we’re going to travel to the anthill to find out, really, what are they all about? And who knows? Maybe they’re not really evil to begin with. Maybe it’s just a mechanism of survival that they are demonstrating. It would be really interesting – and obviously you’d have an action-packed thriller – but it would be really interesting to me to go to their origins and make this alien origin story. And then they reject that and say people don’t want to see that…"
CraveOnline: I would have wanted to see that. 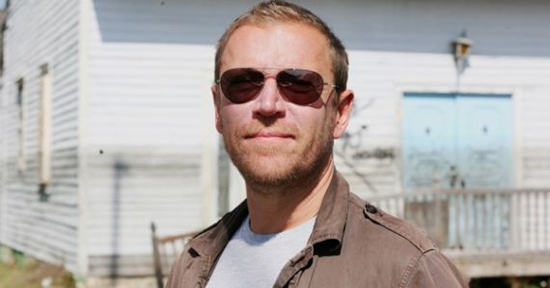 Renny Harlin: "Me too! I don’t understand to this day why they didn’t buy it. And the second one was, I know you remember that we’re talking like ’88, ’89, so this is before Jurassic Park and movies like that, so I say… Okay, then I have another idea. Let the aliens come on Earth. Picture Middle America, a cornfield, and the aliens are going through the cornfield toward the farmhouse. And they’re just like, “Eh, no, people won’t like it. It’s a science fiction movie, it has to take place in outer space. People won’t buy it if they come to Earth. We don’t like it.” So I just get more and more depressed because they don’t like my ideas, and then they come up with this idea… And none of these people work at the studio anymore […] so there’s no one to really blame… They want to tell the story about a prison spaceship where the aliens come. And they say it’s contained, and that’s how it should be, and I say, I don’t get it. The audience isn’t going to relate to a bunch of prisoners. They’re prisoners, they’re all bad guys, and no matter what you do it’s just going to be this dark story, and what’s so great about the previous ones, is that the first one was basically about truck drivers and the second one there’s a little kid and so on, it’s like a mission movie. So go back and forth, and finally they are adamant about it, and one day I just look at it and say, “You know, I honestly can’t make this because I don’t believe in it. I don’t think I’m going to make a good movie.” And I quit, and it was a scary thing to do, after having worked on it for at least a year, but I had no idea what my future was going to be and who was going to hire me, and I just had to trust my gut instinct. Do I quit? And then the next day, the same studio, Fox, offered me [The Adventures of] Ford Fairlane and subsequently Die Hard 2, and all those things happened. But it was a tricky time in my life, and then the interesting thing was that then David Fincher was hired to do it, and they did the prison planet, and while David Fincher was a genius filmmaker, even he couldn’t squeeze out a movie that would satisfy people, and the franchise took a real hit at the point. And David Fincher took a real hit, and it wasn’t until he went on to do Seven that he sort of got out of that situation. But it’s just one of those things where you just gotta follow your instincts. And sometimes, to be honest, I wish that I had done that more in my career. Sometimes you [just] want to work, you’re frustrated because you can’t get a project off the ground, and you end up doing something that is maybe not the perfect thing for you to." Interview courtesy of CraveOnline, head over to read the full article. I'm reading: Director Renny Harlin Talks His Version of 'ALIEN 3'Tweet this!